Here is an idea that could both make your life one continuous party (minus the hangovers) as well as cause you to be a lot more popular with your friends and strengthen your relationships. Ready to hear the idea? Before we get to what this amazing and fun idea is, I should warn you of the side effects that is comes with. First, it will help you realize your goals a lot quicker. Second whenever you reach a goal, or something good happens to you suddenly you will find yourself surrounded by a lot more people celebrating with you. Finally, even when times are dark or challenging you will find you have a lot more cheerleaders and encouragers. Plus, there will still be things to celebrate when life is throwing you a curve ball. Here is the simple thing we can do that can accomplish all of this. We can learn to celebrate good that comes to as many as others as we can. Once you start this you will be amazed at what happens. 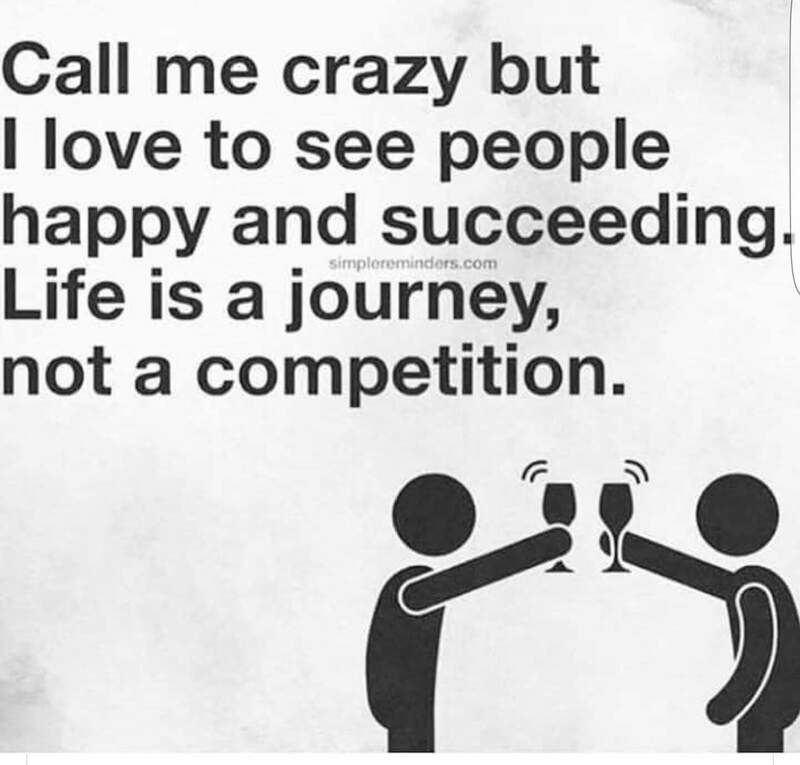 First, when you genuinely are as happy for the success of others as you are for your own people pick up on that. Have you ever had something really amazing happen to you and couldn’t wait to share it with someone and when you do they really seem not to care? It is a bit of downer isn’t it? The next time that you get a piece of good fortune you are not likely to share it with that person. Now on the opposite side of things when you have friends who take pride in your accomplishments, as we should it makes everything more amazing and makes you feel good about sharing with those people. So we can see how it helps the person celebrating but what about those celebrating for someone else? First of all you notice that people celebrate different things. If you have a friend who just got out of the hospital after a trying ordeal that is worth celebrating. It may even cause you to take a look at things you may not be celebrating in your own life. Like your health or the fact you did not have to be in the hospital. Also celebrating feels good, whether it is you or another person. So it is a great way to add additional joy into your life. Also having pride in your friends accomplishments will encourage them to have pride in yours. If your friend Johnny celebrated with you when you finally stopped smoking and was genuinely happy for you and then Johnny calls you up to tell you he has finally met his weight loss goals wouldn’t you want to return the favor? Same with people who are struggling. If you have somebody sticking by your side when the going gets tough, you are certainly going to be there for them when they need it. As you can see doing this can really go a long way to cementing good relationships. It can also help you accomplish your goals and give you more to celebrate. How? By activating a part of your brain called the reticulating activating system or RAS. Have you ever bought a particular outfit and then seen the outfit everywhere? Let me ask you did everyone just buy the outfit the same time you did? Of course not. Then what happened? The outfit was always there, but now that you bought it your brain recognized it as something worth noting. The same thing happens when we start celebrating things. Your brain then begins to look for, and here is the real bonus, create things worth celebrating. A good way to begin this is by asking yourself a question I learned from Michael Beckwith. Ask yourself every morning “What can I celebrate today?”. Eventually you will see a bit of good news, or your friend will share some or something will happen to you worth celebrating. Plus you will begin to feel like everyday is a party. This is actually how life should feel. So start celebrating with me today! Feel free to share something you are celebrating for yourself or someone else in the comments below! It’s actually a nice and helpful piece of info. I am happy that you just shared this helpful info with us.